A DUBLIN panel beater, who spent €40,000 and “thousands of man hours” restoring a dream race car he found discarded in a barn, has been told by a judge that the 64-year-old Jaguar XK 120 is now legally his. Derek Tynan, who owns a bodyshop and service centre at Damastown, Blanchardstown, told the Circuit Civil Court he had been given the car by the widow of a former car dealer when he cleared out a barn for her. Tynan shed tears in court when Judge Jacqueline Linnane rejected a counter claim by classic car dealer Desmond Quinn, of Oliver Plunkett Terrace, Moate, Co Westmeath, that the car was his and not Tynans. Barrister Derek Cooney, counsel for Tynan, told the court that the car had been shipped in crates to Ireland in 1951 and assembled here by a Dublin company. It would be worth at least €120,000 when fully restored. “Since the 1980s it lay in a barn for more than 25 years until, in 2010, Mrs Mary Duffy asked Mr Tynan to take it with him after he cleared out the barn for her,” Mr Cooney said. He said Mr Tynan had receipts for €40,000 worth of parts he sourced in the UK and for specialist work done there at Jaguar outlets. The cost to him had not included his own labour. He had put details of his restoration work on the car on his website. “Then Mr Quinn turned up at his premises at Unit 2A Damastown Walk, Dublin, and asked him for his car back,” Mr Cooney said. Mrs Duffy, of Macetown House, Mulhuddart, Dublin, said that prior to her car dealer husband’s death in 2001 he had the car stored in the barn for about 12 years. Mr Tynan’s son and her son were friends and she had asked Mr Tynan to clear the barn. She said her husband, Eamonn, had always said he would fix the car when he retired. She had received a registered letter about the car from Mr Quinn 10 years after her husband’s death but had not heard from him since, despite having given him her mobile phone number. Tynan told the court he wanted to buy the car but Mary had told him to take it. “She gave it to me,” he said. In 2012, two years into the restoration, Mr Quinn called and said he had a log book and wanted his car back. Quinn said he had asked his “good friend Eamonn Duffy” in 1989 to store the car for him and he “visited it” often. No restoration work had been done on it and he did not know why some parts, stored in boxes, were found wrapped up in 1993 Evening Herald pages, which were produced in court. Judge Linnane said Mr Tynan’s receipts for €40,000 for parts had not been disputed in court. 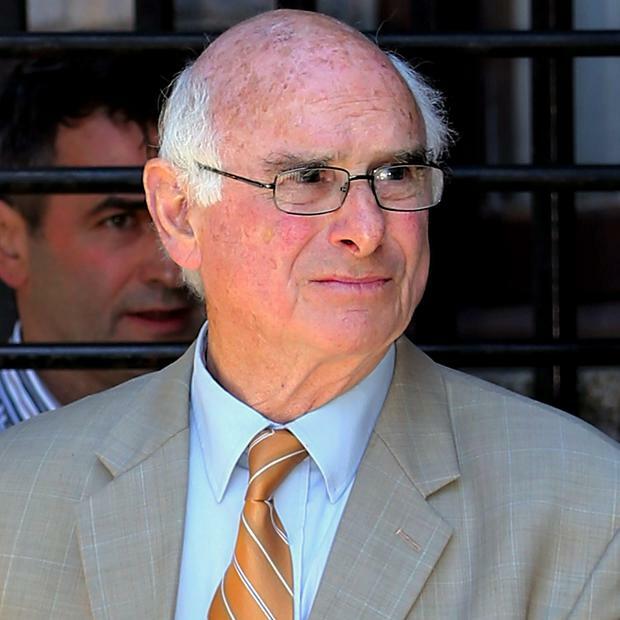 Mr Quinn said he had bought the car from Mr Charles Norton in 1968 but in a statutory declaration to register it in his name in 2012 he had stated he had bought it from a Robert McKay. He had only sought to register ownership of it after 44 years. “I don’t find Mr Quinn a very credible witness or, indeed, Mr Norton, and I don’t accept there was any agreement between the late Mr Duffy and Mr Quinn to the effect that the vehicle would be stored, it seems indefinitely,” Judge Linnane said. She said it must have been distressing for Mrs Duffy, whom she found was a credible witness, to have been put back over the death and funeral of her husband. 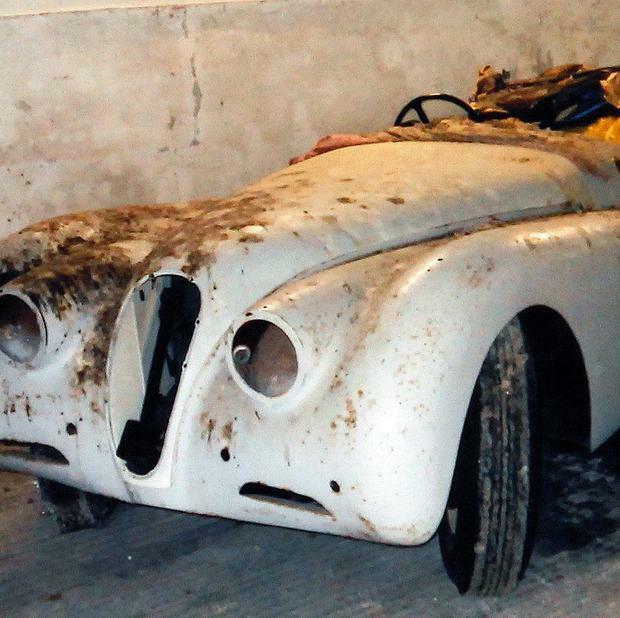 The judge granted Mr Tynan a declaration that he was the de facto owner of ZL 5171, a 1951 Jaguar XK 120, chassis number 660111 and was entitled to possession of the car and to be the registered owner. She awarded costs against Quinn and dismissed a counter claim by him that he was the rightful owner. Afterwards a tearful Mr Tynan said it had been “a long hard struggle” proving ownership of the car. He said the restoration was still only partly completed as he had to put off further work when Mr Quinn had claimed ownership.